1 Holden R. Johnson Famous Sayings, Quotes and Quotation. The Sword. Her name is Nightmare." A small shiver ran down Vall's back, in the exact line where the blade now was. It was not a shiver of fear, but of understanding. 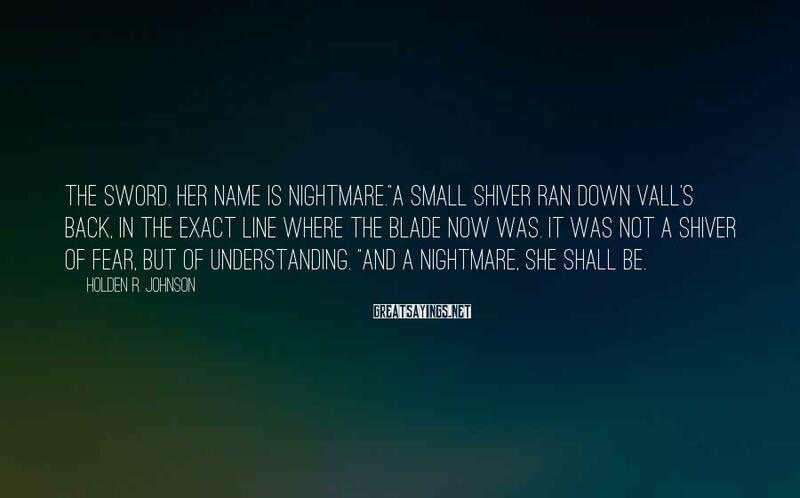 "And a nightmare, she shall be.